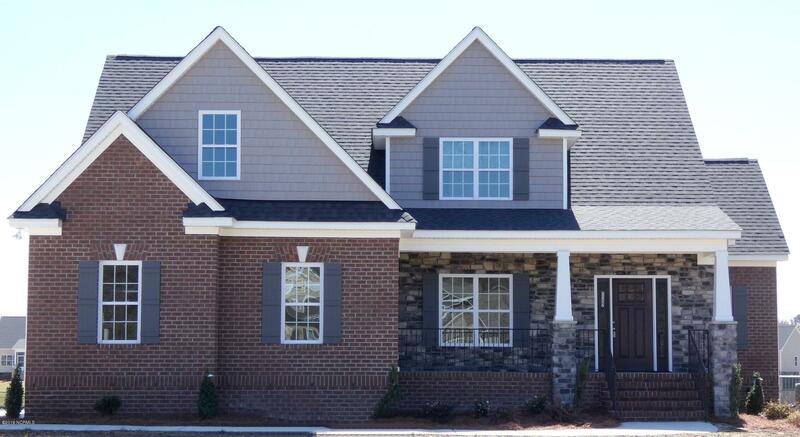 Enjoy peace and quiet at Baywood, 4 bedrooms, 2.5 bathrooms, screened porch & 2-car garage. Large open kitchen with granite counters & lots of cabinet space that looks into the great room & includes gas fireplace & built-ins. Master suite includes master bathroom w/ garden tub, walk-in tile shower, walk-in closet, & double vanities. Bedrooms 2-4 and full bath up. Walk-in floored attic storage that could be finished as bonus in the future. Waterfront flat lot on community pond. This is the Madison floor plan, no city taxes, energy efficient, one-year limited builder's warranty, eligible for 100% USDA financing, first year security monitoring incl.